UFC light heavyweight champion Daniel Cormier (pictured) will be staring a must-win situation dead in the eyes when he meets interim UFC light heavyweight champ Jon Jones Saturday at UFC 200. After re-reading that sentence, I can’t believe I wrote that a reigning title holder is in a must-win predicament, but it’s true. This is a career-defining fight for Cormier. Not only because it offers the former Olympic wrestler a chance to avenge the lopsided unanimous decision defeat Jones handed him just 18 months ago, which marks the lone blemish in Cormier’s 18 professional MMA outings, but Jones is the most decorated 205-pound king in UFC history. Parlaying vindication with victory against the division’s GOAT will catapult Cormier into a new stratosphere. The only problem is, Jones, who some believe will be the greatest mixed martial artist who ever lived when it’s all said and done, handled him rather easily at UFC 182 to notch a UFC-record eight consecutive title defenses in the division. Jones beat Cormier at his own game, out-wrestling the wrestler. When the dust settled on their shootout, Jones had only dropped one of the five rounds to his archenemy en route to literally leaving Cormier in tears at the post-fight press conference. The only reason Cormier is currently donning a UFC belt is because Jon Jones pulled a Jon Jones (AGAIN) by getting arrested for his irresponsible and reckless behavior behind the wheel. If Jones comes back and unifies his title in a similar dominant fashion as their first tango, Cormier will be hard pressed to find himself in a trilogy against Jones. It could happen if Cormier rattles off several impressive wins, but it would still be a hard sell to UFC brass if he’s already down 0-2. In addition, Cormier turns the ripe age of 38 in March. That’s considered the twilight, if not the end, of most pro athlete’s careers. Cormier’s only saving grace if he loses Saturday would be the heavyweight division. Either he will move up to go after that gold – an understandable transition considering he’s getting quite long in the tooth, but an unlikely scenario since the reason the former Strikeforce Grand Prix champ dropped to light heavyweight was so AKA teammate Cain Velasquez could rule the 265-pound weight class – or Jones relinquishes the hardware and jumps to heavyweight after he beats Cormier and then collects wins over Alexander Gustafsson and Anthony Johnson, something Jones said was a possibility back in January. On the flipside, Cormier can just beat Jones and not have to worry about anything but a rubber match with “Bones.” That would be the simplest solution, but the most difficult direction. 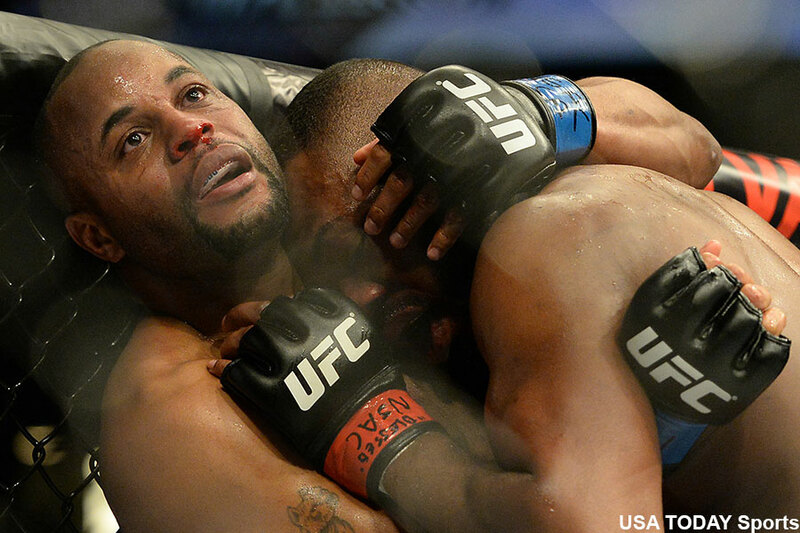 This is do-or-die for Cormier, and he has to know it. Jones is currently a 3-1 odds-on favorite to beat Cormier and unify the light heavyweight title at UFC 200.